The Freedom Initiative Project is a not-for-profit organization serving women experiencing transition and dislocation. We assist women, during times of struggle, in reaching their personal potential and achieving independence. The Freedom Initiative Project assists women emerging from abusive relationships, recently released from incarceration, re-entering the workforce after divorce, or any life situation resulting in dislocation. It is our mission to provide resources, programming, life skills, work force training, and housing to those in need. We are committed to fostering a symbiotic relationship between women and their communities. How we empower women everywhere. Helping in all facets of recovery. We encourage women to incorporate a healthy lifestyle - mind, body and spirit - into the new chapter of their lives. Whether a woman is entering the work force after a period of absence due to raising a family or due to a period of incarceration, the Freedom Initiative Project is committed to assisting women find their way back into the job market. The Freedom Initiative Project offers guidance and assistance with housing solutions to women in need. Transition can often be accompanied by trauma. The Freedom Initiative Project provides women with resources to seek assistance in healing the wounds of the past and repair broken relationships. We provide women with opportunities to learn effective ways to manage their day-to-day lives. Kumari Fulbright leads the Freedom Initiative Project with passion and a life long commitment to service in the community. Kumari holds a Bachelor’s degree in psychology from the University of Michigan-Ann Arbor and a Masters of Business Administration (MBA) in management from the University of South Florida. She has studied law at The University of Arizona’s James E Rogers College of Law and where she was selected for membership to the Arizona Journal of International and Comparative Law. Kumari brings a diverse career background ranging from assisting women and minority owned businesses win government contracts to entrepreneurship within the entertainment industry. Kumari was inspired to start the Freedom Initiative Project by her own experiences of transition. She believes that with education, opportunity, and a supportive network, women can rise above their circumstances to become contributing members in their communities. Along with a dynamic Board of Directors and dedicated volunteers, Kumari hopes to help women rise from abuse and recidivism to independence. L.S. 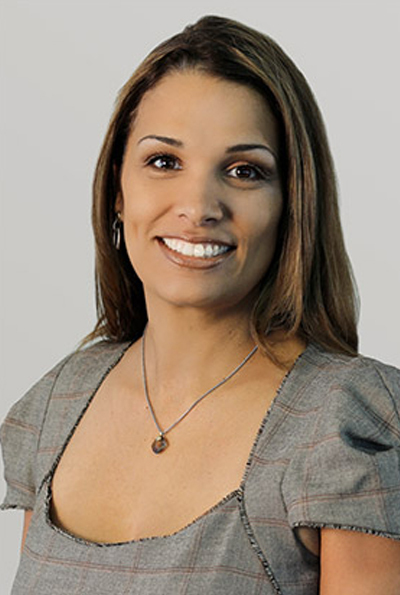 Sutton, J.D., is a real estate professional with Synergy Sotheby’s International Realty and Vice President of Business Development for SSK Holdings Inc. Ms. Sutton holds degrees from the University of Arizona and the University of Miami. While in school, Ms. Sutton worked as a print and television model and served as a congressional intern for Senator John McCain. Prior to joining SSK Holdings and Synergy Sotheby’s International Realty, Ms. Sutton worked in a top Las Vegas law firm, Atkinson & Associates P.C. where she held positions as an associate and VP of Human Resources, working in areas including commercial real estate law, wills and trusts, business bankruptcy and entertainment law. 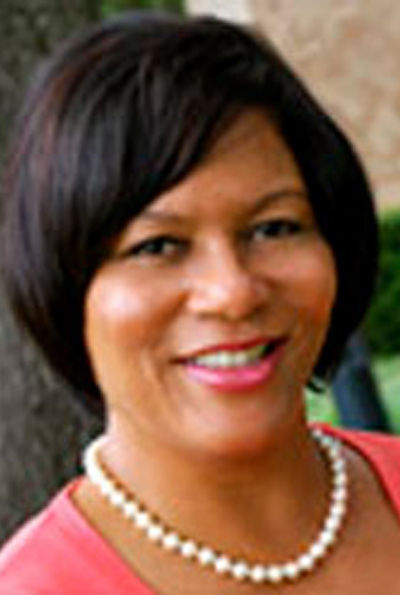 Ms. Sutton comes from a family of commercial real estate investors and business owners. She purchased her first property at the age of 18. Ms. Sutton is also a serial entrepreneur, holding ownership interests in several companies in the real estate, retail and food & beverage sectors, including Vegas’ only luxury alcohol-infused cupcake company, Sin City Cupcakes. Her most recent endeavor is luxury swimwear distributor, Liquid & Lace: Bikinis For A Cause. Liquid & Lace, in collaboration with its charitable partners, provides community donations for every piece sold. Ms. Sutton also continues to work as a print model with prestigious modeling agency, Wilhelmina Models, and has been featured in over 70 national and international publications, including Maxim, FHM and GQ. In addition to her professional careers, Ms. Sutton is actively involved in her community as the newly crowned Miss Nevada US 2014 and supports women empowerment through face-to-face community care. She has volunteered with numerous charitable organizations and currently serves on the board of the Fundamental Elements Foundation, which supports facilitating help to women and children in their time of need. Valerie is a dynamic, high energy Human Resources executive who works effectively with all levels within an organization to achieve results. In her current role at First Home Bank as the Vice President, Human Resources, Valerie acts as business partner with leadership, management and is an advocate for all employees. She is truly an employee champion, providing expertise and consulting, to improve engagement while facilitating organizational successful. Valerie works closely with Leadership providing solid strategic guidance on matters of significances in their business areas. She enjoys developing others and thus recently received her Certified Professional Coaching designation. She also has her Senior Professional Human Resources, (“SPHR”). Valerie is a people-oriented, perceptive communicator, who listens actively to understand and knows what it takes to build and maintain successful relationships. She is an extremely effective and valued consultant amongst her team and peers. Valerie is strategic in her thinking and highly skilled at implementing and managing to achieve key objectives. She is a generalist with extensive accomplishments in a number of key areas, such as; benefits, wellness and compensation design, HRIS system evaluation, selection and implementation, organizational effectiveness, labor, and employee relations, executive recruiting and coaching. Valerie demonstrates the ability to align business strategy to increase HR effectiveness and credibility, while reducing cost, increasing revenue and achieving the “Best Place to Work” designation in several organizations. Before joining the Executive team at First Home, Valerie served as the VP of Talent and Acquisition at GTE Financial Credit Union and VP Human Resources for Truman Medical Center in Kansas City. Prior to that she served as the VP of Organizational Development at UT Southwestern Medical Center in Dallas, TX. She began her career at General Motors, while attending undergrad at the University of Michigan in 1982 where she received her Bachelor’s degree. She later received her Masters from Webster University in 1993. She worked several years in Telecom for Nortel Networks and Perot Systems in an international role where she traveled extensively though out the UK. Valerie has served on a number of boards, she was recently appointed to the Crisis Center of Tampa Bay, Board of Directors. Keree Brannen has extensive experience in change-oriented initiatives and leadership and team development for both corporate and non-profit organizations. Her passion is identifying and framing organizational directions and growth opportunities. She has a strong record of helping organizations and groups meet goals by building relationships to gain commitment. In 2004 Keree joined HNM Enterprises and serves as their VP of Corporate Business Development and Strategy. During her tenure she has successfully overseen and led the development of several start-up ventures, including HNM Global Logistics. Grow FL honored HNM Global Logistics as a 2013 Florida Company to Watch and they received a 2014 Fast 50 award from the Orlando Business Journal for their exponential revenue by percentage growth (from 2011-2013). Keree received accolades from the State of Florida’s CFO, Jeff Atwater, for her involvement in HNM’s success based on employment and revenue growth. Ms. Brannen recently relocated to Austin, TX to open a Southwest branch. Keree is active in many civic and social organizations. She is on the Board of Directors for Day With Daddy, as well as HEBNI Nutrition Consultants, Inc. Keree is a proud legacy member of the Orlando Chapters of Jack and Jill of America, Inc. and The Girl Friends, Inc. and is actively involved in their community engagement and service initiatives. She also serves on the National Technology committee for the Girl Friends, Inc. Even with a perfect record, the job market is tough. Finding stable employment with a tarnished background presents an additional challenge, but securing gainful employment first step to rebuilding your life as a member of the community. The companies listed below are known to hire felons and give that second chance at success! With a polished resume and a good interview you are as good of candidate as anyone else in the eyes of these great companies! The Freedom Initiative Project is expanding our mission to help women all over the United States achieve their full potential. If you’d like to get involved, or if you are an organization interested in partnering with us, we’d love to hear from you. For all inquiries including press, please use our contact form below.